The Andersen Chronicle: Thank You! We want you to know that we are thankful for you, our family and friends. 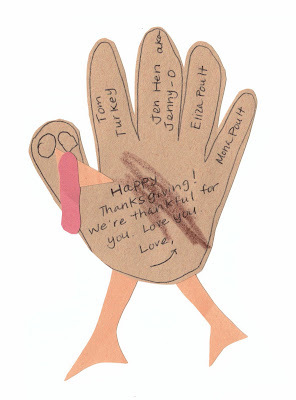 We would have liked to send each of you real ones, but after the sixth turkey Eliza was ready to throw in the glue stick :) Happy Thanksgiving! Love you! You are such a cute mom, Jen!